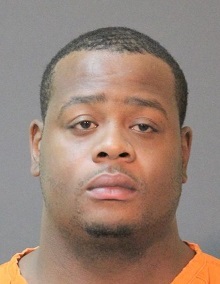 On March 1 the Calcasieu Parish Sheriff’s Office received a complaint in reference to Joshua N. Wesley, 26, 5001 Pecan Acres Drive # 31, Lake Charles, having inappropriate sexual conduct with a 16 year old girl he met through his place of employment. Detectives learned Wesley initially communicated with the victim over social media, which eventually led to physical meetings. When detectives questioned Wesley, he confirmed he had sexual contact with the victim on two occasions. He was arrested and booked into the Calcasieu Correctional Center and charged with 2 counts of felony carnal knowledge of a juvenile. Judge Robert Wyatt set his bond at $30,000. CPSO Detective Ben Hare is the lead investigator on this case.